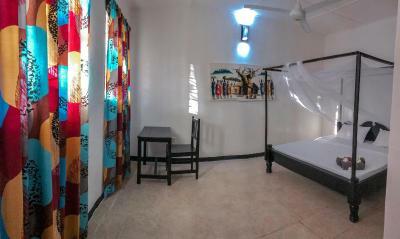 Lock in a great price for Papaya Guest House Nungwi – rated 8.7 by recent guests! The property is a good value for the money you pay. 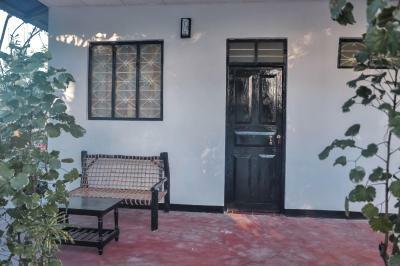 It is located in the heart of Nungwi village near the most scenic beach of Zanzibar ( 3 minutes walk). You will have plenty of cafes around. Kendwa beach is also in the walking distance during low tide. 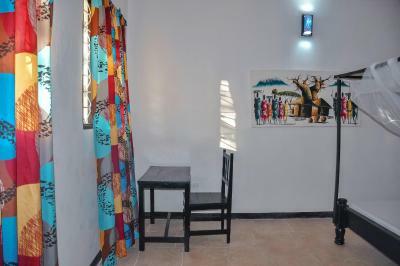 The property had all the necessary commodities for us: clean room, hot running water, air conditioning (fan), mosquito net and repellent. The size of the room was quite spacious with big comfortable bed. 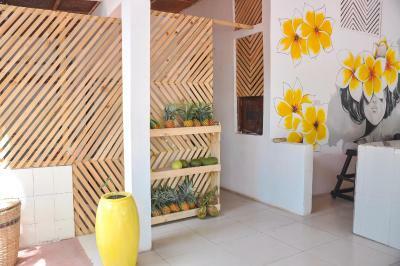 The property serves very good breakfast with plenty of local fruits. 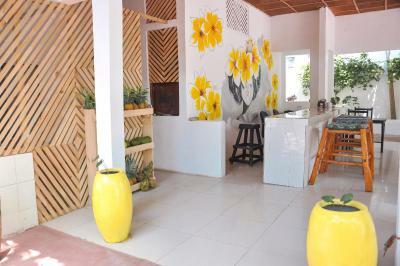 In addition, local cook is available throughout the day so the guests can order food from the menue. The meals were very good and for very favorable prices as compared with other restaurants in the area. 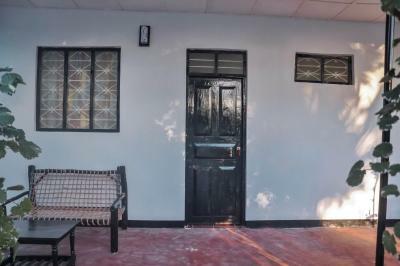 The area of the guesthouse is well secured. It has fensed individual area which is guarded around the clock. The staff is very nice and welcoming speaking sufficient English We enjoyed our stay in this guesthouse. 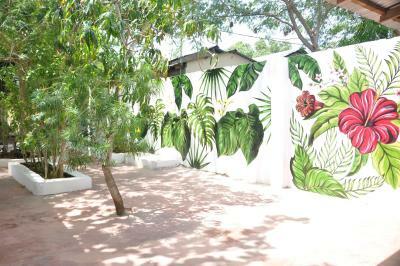 Our 1 week stay at Papaya Guesthouse was very good. 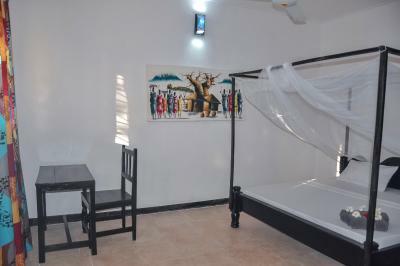 The accommodation is very well located and at an affordable price for which we paid. Although not in front of the beach, it is a 5-minute walk away, as are restaurants, souvenir shops and from the main square at the village, where there is a farmacy, supermarket, bakery, local restaurants. Our room was large and the breakfast was good and varies every day. They also serve lunch and dinner, and the prices are cheaper than the restaurants at the seaside. The staff is wonderful and did everything to please us and make us feel good. Also the owner of the accommodation (a young Ukrainian) was fantastic and relentless to make their time available to help us in a health problem that almost ruined our holidays, and thanks to this young man, we can enjoy the last days. 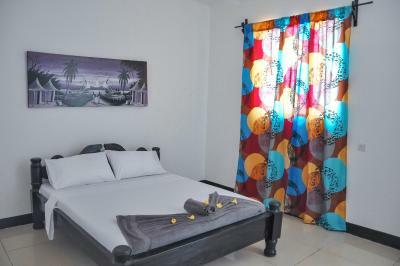 I will stay again at Papaya Guesthouse if I return to Zanzibar. Breakfast was very good. Local staff (from Zanzibar) were very friendly. The staff were really friendly. Rooms were clean with a fan and basic amminities . 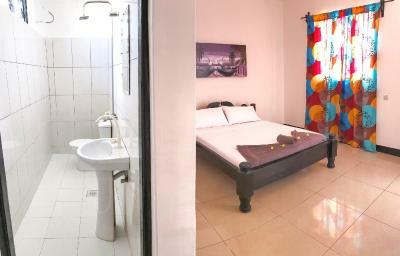 Located from just a 10 min walk to the beach. There are common beach nearby this hostel. It takes 3 minutes to go to there by walk. One of the staffs is very kind. His name is maybe Moo or Mu. He helped me to find snokling tour and transfer to Stonetown. I felt very comfortable. The staff is very friendly and helpful. The accommodation is fairly priced. The location is good. nice garden, good room, close to the beach. it really worths the money. Staff was excellent, especially yusuf and chef Harrison. Thank you for making our stay special and for your careness for organising everything. Yusuf and Harrison make the difference!!! !Well done guys! We loved our stay at Papaya. The staff was really friendly , always had a smile and made us feel welcomed. We were greeted with a warm welcome when we arrived. 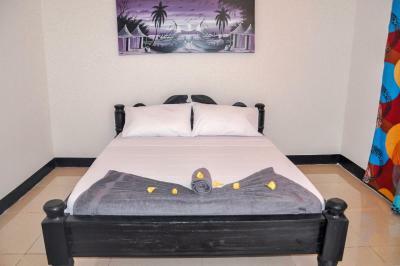 The rooms are very clean although very basic and the big comfortable beds.Shower Is good( hot weather), you get two towel, and towel for legs. - Spray for ants and mosquito. 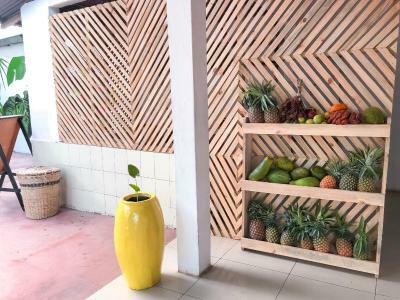 - The breakfast was very good, fresh exotic fruits, pancakes, eggs, donuts, jams, honey, datescoffee and tea The bar has a great atmosphere and it's a great place to get to know and interact with other guests. And fire place- amazing. Great experience overall! Amazing food and delicious juice in restaurant. I will defenitley stay here again if we come back to Zanzibar in the future. One of our best sellers in Nungwi! 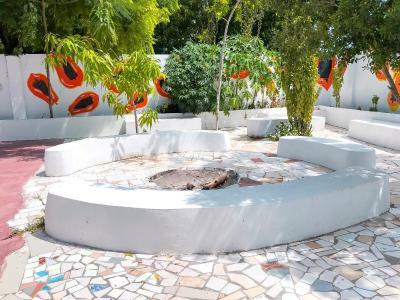 Located in Nungwi, Papaya Guest House Nungwi offers a garden. Featuring a 24-hour front desk, this property also provides guests with a terrace. 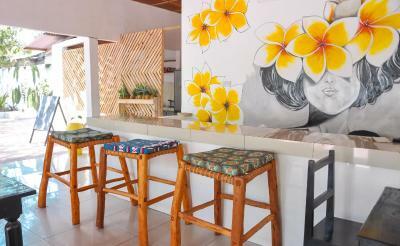 Guests can dine in the restaurant or a drink at the bar and free WiFi is available. 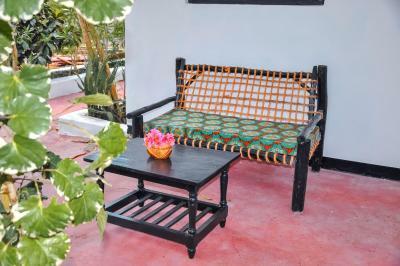 At the hotel, the rooms are equipped with a patio with a garden view. 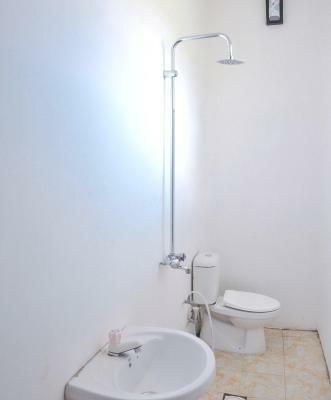 The private bathroom is equipped with a bidet. 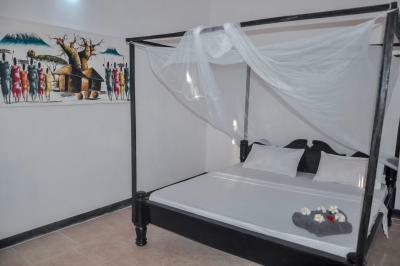 Guests at Papaya Guest House Nungwi can enjoy a continental breakfast. The area is popular for hiking, and bike rental is available at the accommodation. 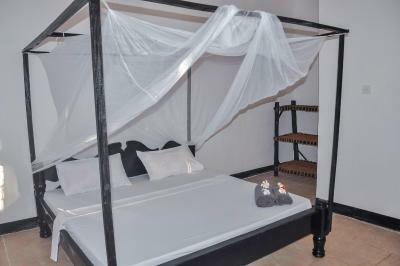 Spanish Dancer Divers is a 7-minute walk from Papaya Guest House Nungwi, while East Africa Diving is half a mile from the property. 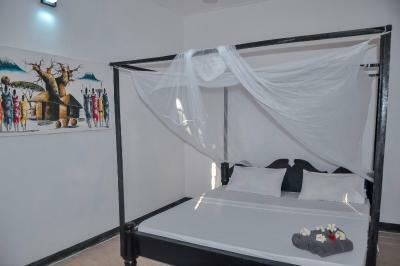 When would you like to stay at Papaya Guest House Nungwi? 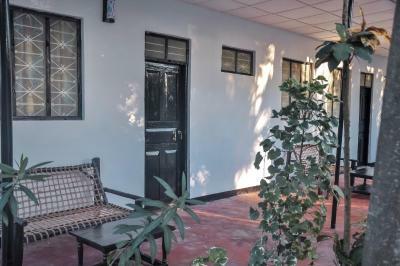 This double room has a patio, garden view and private entrance. This double room features a mini-bar, private entrance and patio. This twin room has a mini-bar, private entrance and patio. 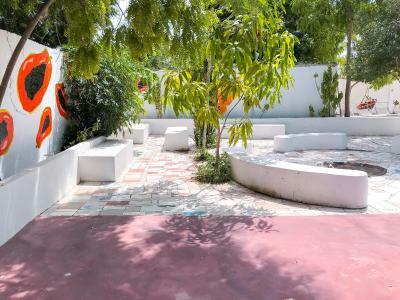 This double room features a patio, barbecue and private entrance. House Rules Papaya Guest House Nungwi takes special requests – add in the next step! Papaya Guest House Nungwi accepts these cards and reserves the right to temporarily hold an amount prior to arrival. WIFI is a little bit slow. The rooms are a little below the standard I expected. Everything was very nice. The staff is fantastic. There was no bathroom door. Couldn't get WiFi to the room. Breakfast could have been better. there are no windows in the room so you cant sleep very proper, because you can hear everything, there should be new bathrom , it wasnt nice, no safe, no AC only fan , guest house doesnt have a generator in case ig there is no electricity and water, we stay without this one night , and we couldnt sleep at all no water , you cant go to toilet, no electricity for the fan so in the room we could breath was very hot. The staff weren’t as helpful as we would have liked. They wouldn’t allow us to have on more slice of bread. Paid a lot for the two nights stay and seemed slightly harsh to not “allow” this. Great and helpful host and staff! Nice garden and very tasty breakfast. Beach is 2 min from accomodation. 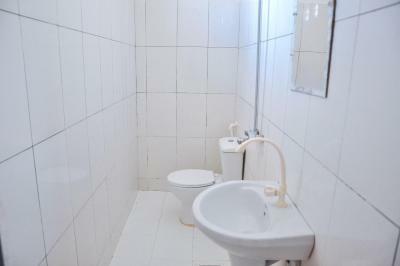 Great location, very safe and friendly guest house. Bedrooms good size, plenty of hot water. The staff try really hard to make everything just right!